Have you ever meditated? I am trying to incorporate a daily meditation into my routine because it helps me to feel centred. Meditation is great for relaxation and stress relief and helps you to gain clarity in any issues you are struggling with. 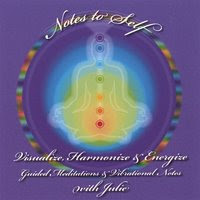 Julie Pelzer is the owner of Messages to Self and is the creator of the CD Notes to Self. This is a CD with guided meditations and chakra toning and is designed to shift your body and mind into a state of relaxation to promote healing. 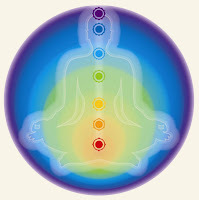 It merges a guided meditation with sound healing and energy medicine which helps to create harmony and balance within the body/mind energetic system. The CD can benefit everyone and has been used on people with a wide range of areas of concern including sleeping problems, chronic pain, personal growth and cancer symptoms. I was lucky enough to have a chance to listen to the Notes to Self CD and see how it would help me. I prefer a guided meditation over just trying to meditate on my own. Using a guided meditation keeps your mind focused and doesn’t let it start to wonder. My mind wonders very easily and in no time I am making lists, worrying about stuff and the meditation goes down the toilet. I found the Notes to Self CD kept my mind on the imagery quite easily. When my mind did wander, I was always able to bring it back to the soft, soothing voice of Julie on the CD. The CD has 6 parts- an Intro, Clearing, Attracting, Preparing the Healer, Self Healing and Harmony. Each one flowed nicely into the next and made the experience very cohesive and not choppy or broken up. I always felt so much more calmer inside and happier with myself after meditating with this CD. I could easily picture all imagery mentioned and actually felt it physically working. It was pretty cool! If you are really stressed or feel like you need to take more time for yourself, I fully suggest you try to listening to the Notes to Self CD. To purchase the Notes to Self CD, please visit Messages to Self. It’s available online for $20.